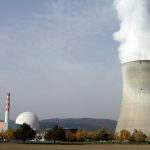 The Beznau I reactor at the Swiss Bezenau nuclear power plant in Döttingen in the Canton of Aargau appears to be in worse shape than some had imagined. The reactor which sits on a man made island on the Aar river is currently on a rest period. It went into operation in 1969 and is Switzerland’s oldest and the second oldest in the world after the Wyfla reactor in Wales. It is the oldest still in operation. based on the date it first went into operation, and was scheduled to restart in February 2016. Controversy has surrounded the reactor for some time. In March 2014 a number of Greenpeace protesters broke into the plant wearing orange overalls to protest the continued operation of what they consider an old dangerous reactor. Operator Axpo brought a trespassing complaint against the individuals. In August last year Greenpeace said that Beznau hadn’t passed earthquake resistance tests carried out in 2012. Last year the association Sortir du Nucleaire ranked Beznau I the third most dangerous reactor in the world out of 194, behind the reactors Metsamor in Armenia and Kuosheng in Taiwan. On 8 October 2015 the Tages-Anzeiger reported that the covering around the reactor had around a thousand holes or indentations in it like a piece of Swiss emmental cheese. 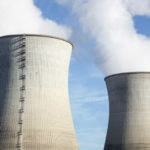 The Tribune de Genève said Axpo had announced that it had detected irregularities in the reactor’s pressure container stating that they weren’t cracks, but stains or variations in the thickness of the material in places. A source close to the situation told the Tages-Anzeiger that the problem was much more serious than expected. 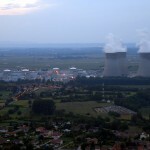 Close to the German border and not far from Zurich the reactor is 30 km from an estimated one million people.